BELTON, Mo. — Safe Fleet’s 2019 United to End Bullying (UEB) Grant Program is open for applications on Friday, February 1 until Sunday, March 31, 2019. School communities, transportation teams, and non-profits offering bullying prevention education, social-emotional learning, and kindness initiatives to students K-12 in Canada and the U.S. are eligible to apply. A total of $50,000 will be divided between the best entries, judged by a UEB Committee from twelve Safe Fleet brands across North America who actively participate in the UEB program. They raise awareness for bullying prevention through events such as the upcoming Pink Shirt Day on February 27, and reach out to schools and communities to start new conversations on bullying prevention and kindness. 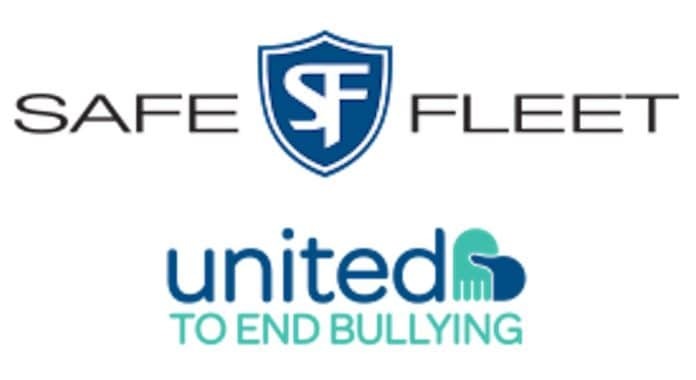 United to End Bullying is Safe Fleet’s bullying prevention program. Safe Fleet is the leading provider of safety solutions for fleet vehicles, with a vision to keep communities safe. The presentation at last year’s grant winner ceremony was held at an elementary school in Surrey, BC, Canada. 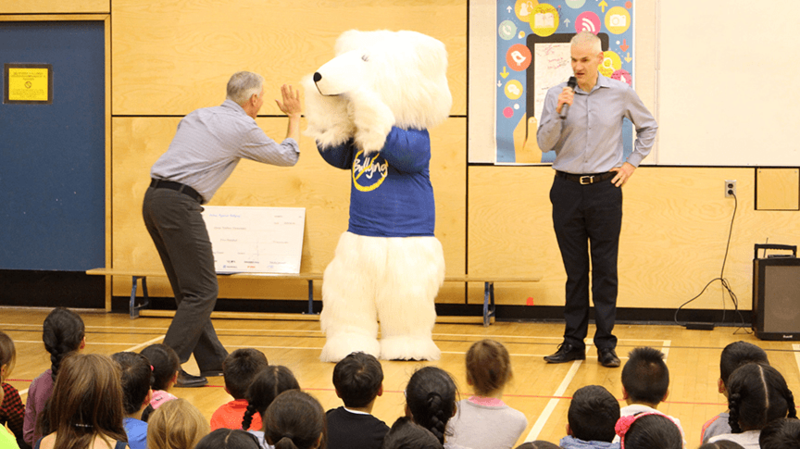 The principal gives a high-five to Buddy the Bear, UEB’s mascot, as speaker, Mike Bismeyer, engages the school assembly on a conversation about bullying and kindness. The judging criteria, a list of previous grant winners’ programs, and stories of the impact these grants have made for everyone involved can be found in blog articles on UEB’s web site. To learn more about the UEB Grant Program, go to unitedtoendbullying.com/grant.